Extraordinary Dogs: A new tool to help owners read dogs minds? A new tool to help owners read dogs minds? 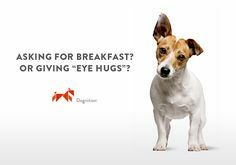 Dognition is a new technology that promises to read dogs' minds. Can it make them smarter? If you've ever wondered just how smart your pup is, now you can find out, thanks to the work of Dr. Brian Hare and his new technology, called 'Dognition'. Dr. Hare created Dognition, an online tool that anybody can use to find out about the different types of intelligence their dog is using to be the genius that it is. Some dogs are amazing communicators, some dogs are incredibly bonded and empathic with their owners, some are even capable of complicated reasoning skills and others have an amazing memory. Finding out the process by which your dog learns is the first step in discovering how intelligent he or she is. "If you want to just pronounce that your dog is smart, that's fine, but there's actually a way to measure it, which is to compare your dog to other dogs," Dr. Hare said. Dognition measures intelligence through games. One game uses just a few large plastic cups and your dog's favorite treat to play. All you have to do is hide the treat under one of the cups and you'll immediately learn more about your dog's type of intelligence. According to Dr. Hare, a dog that's super-communicative might think he saw the treat in one place but won't believe his eyes because he listens to his owner. A dog with excellent working memory will remember where the treat is, no matter what you say or do. Who knew such a simple game could be so educational? Dr. Hare says that when it comes to intelligence, dogs are a lot like us. "They are actually more similar cognitively to human infants in some ways, in some types of intelligences, than chimpanzees and bonobos," he said. Dr. Hare has the research to back it up. He published a paper on the subject in Science magazine back in 2002, which surprised many people in the science community. Not that Dr. Hare wants to prove dogs are exactly like humans. "They're not little humans, and that's not the goal of our research," he said. "The goal of our research is to understand dogs for who they are. But it doesn't mean they're just like us and, in fact, they're better than us and more interesting." Who can argue with that? All dog parents know that their pups are way more interesting than humans. How can understanding the way your dog learns help you if you've got an actual training problem? A lot, says Dr. Hare. 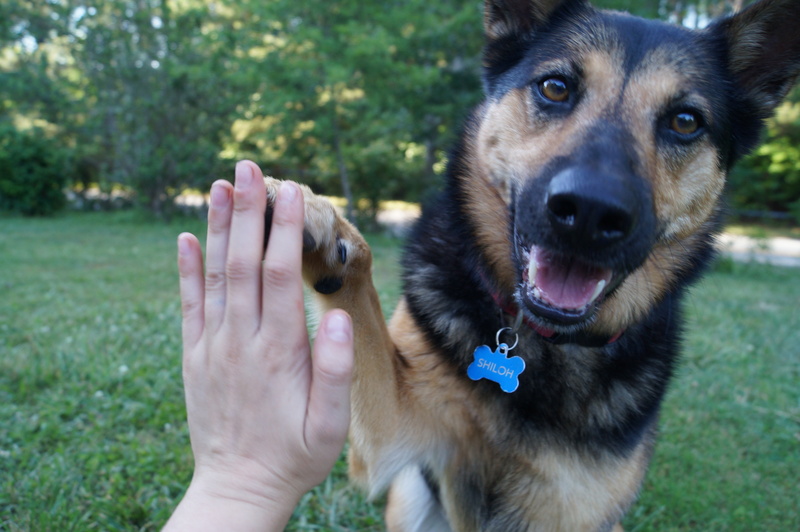 For instance, if your dog has trouble obeying the command "sit and stay," Dognition can help. "If you go to a trainer, he's going to tell you to work hard or try this activity," Dr. Hare said. "Dognition doesn't disagree with that, but it can give you more information to help you individualize your approach." By knowing if your dog is using working memory or is more attentive to body language, you and your trainer can individualize a training program to work with the way your dog learns. So, you can say bye-bye to all those bad habits. Another exciting aspect of Dr. Hare's work is its application with dogs in shelters. Every year, many dogs are sadly euthanized due to behavioral issues. What if the shelter workers were better able to understand the personality of each dog and the trainers could use that information to tailor a training program for him or her? The results could send some dogs into loving homes that might otherwise not have gotten the chance. Ebony the black Pit Bull is available for adoption from the Town of North Hampstead/ Shelter Connection in NY. They are currently utilizing the Dognition pilot program. "Dognition can help shelters tell the story of the dog," Dr. Hare said, adding that instead of seeing a dog as scary because it is barking a lot or trying to jump the fence, shelter workers could identify the dog's personality qualities and find someone looking for that exact type of dog. "A person could go into a shelter and say they want a dog that's strongly bonded and a great communicator, and the shelter could know which dog will have those qualities," Dr. Hare said. Do you want a working dog?